Monday the 2nd of April we’ll be exceptionally open to spend with you the Easter Monday lunch. 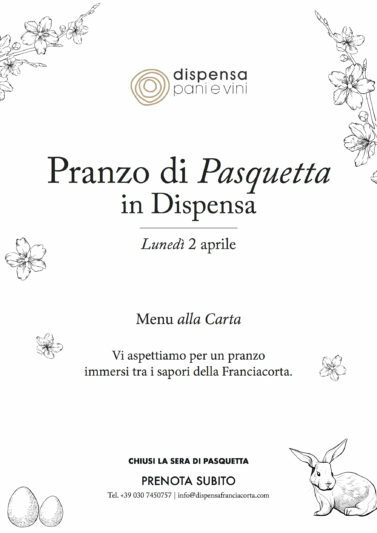 Menu à la carte for a lunch with Franciacorta’s flavors. WE’LL BE CLOSED ON EASTER MONDAY EVENING.